With our ISO 44001 – collaborative business relationship management systems certification training course offered we continue to be a leader in the business relationship management certification training industry. Want to know why? It’s our educators with decades-long business relationship management experience who make us who we are. 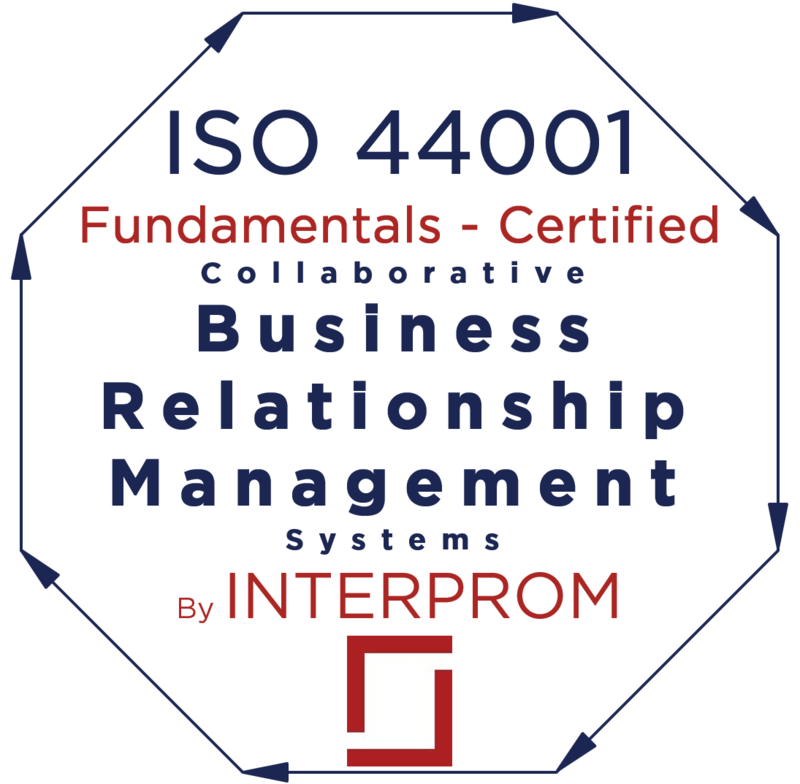 They share this practical experience during each of the certification training courses we offer on the ISO 44001 standard, making INTERPROM a top pick for all your business relationship management training needs. All of our instructors are CBRM® certified and have led dozens of organizations towards ISO certifications, so you can be assured that the training you’re being provided is quality, knowledgeable, and backed by the promise of our instructor’s experience. Don’t miss out on the best available ISO 44001 business relationship management certification training courses in the world. For the ISO 44001 course listed above, click on “Read More” for the course curriculum, course prerequisites, the intended audience, the exam preparation, the delivery formats and course fees.